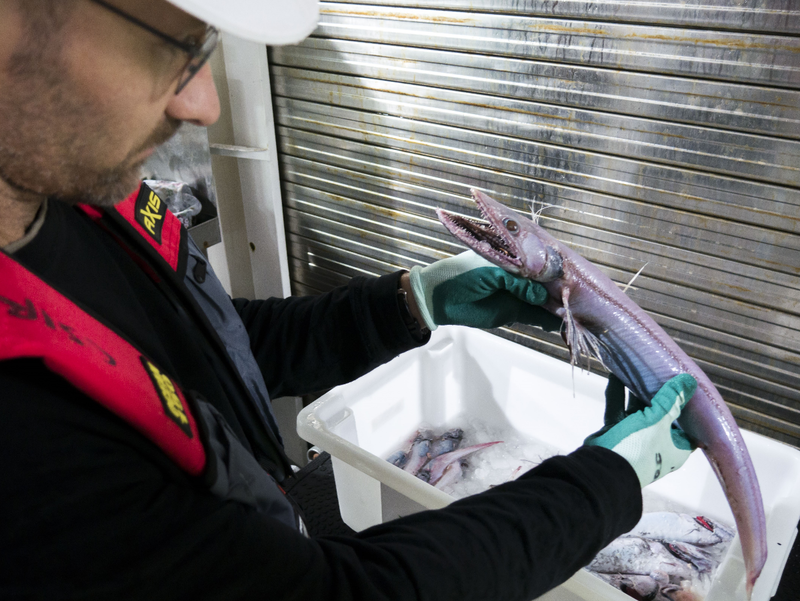 There are still monsters in the deep dark places of the world, at least there are if you're an unsuspecting deep-sea fish. 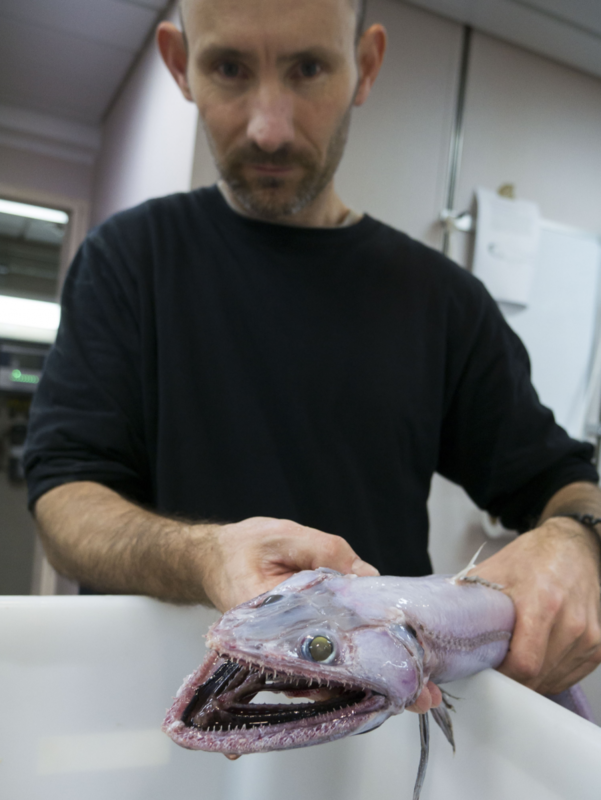 One of the many things lying in wait to eat you is the deep-sea lizard fish (Bathysaurus ferox). 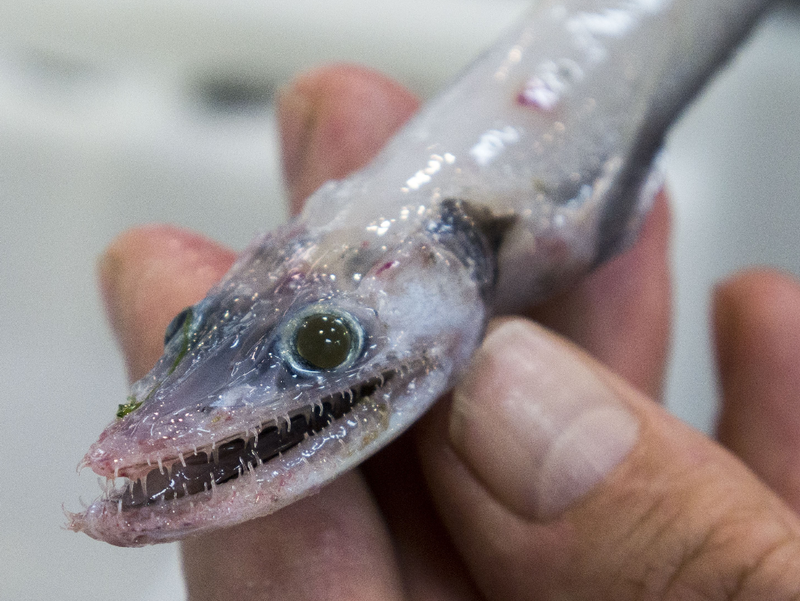 This terrifying terror of the deep is largely made up of a mouth and hinged teeth, so once it has you in its jaws there is no escape: the more you struggle the further into its mouth you go. And love can be even harder to find in the deep than a meal, a struggle that has nudged the lizard fish down the evolutionary path of a hermaphrodite. They have both male and female reproductive organs, so whatever other Bathysaurus ferox they come across will be Mr right and Miss right. How could you not love a face like that! John Pogonoski of the CSIRO Australian National Fish Collection recognised this fearsome predator as soon as he removed it from the beam trawl on the RV Investigator. Love the humour! What a great blog post about an interesting animal! Why is there an opening in the middle of its bottom jaw? The opening you refer to is simply the ventral opening of the gills. The large gill openings help the fish pump water through their gills when in a stationary position and probably also help the fish expand its mouth wide open when they ambush and seize their prey (food) items.